Life insurance is the only financial tool which offers the triple advantage of risk coverage, long-term savings and tax benefit. There are a number of things that each of your life insurance policies should spell out and include, and the document is a complete guide to exactly what your insurance contract covers. This is why it is always important to check a policy carefully when you first receive it, to make sure that everything you requested is written down in the policy. Where to invest is a hot topic of discussion everywhere after stable government is formed at the Centre. Everybody talks of economy doing better in coming years as faster decisions are likely as the new government has committed itself to lowering inflation and focusing on economic growth. Life insurance is the only financial tool which offers the triple advantage of risk coverage, long-term savings and tax benefit. There are a number of things that each of your life insurance policies should spell out and include, and the document is a complete guide to exactly what your insurance contract covers. This is why it is always important to check a policy carefully when you first receive it, to make sure that everything you requested is written down in the policy. 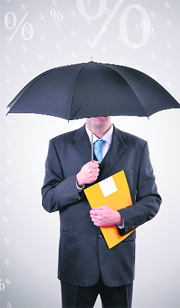 Personal data provided to the insurance company forms a very important part for settlement of all claims. Please make sure that all personal details such as your name, age, etc. are mentioned correctly. Please also make sure that all aspects related to personal habits or health details are mentioned correctly and honestly. In cases where it is not declared or is erroneous on policy documents, the insurer in all fairness may refuse to honour the claim and hence get it corrected proactively. The benefits of your life insurance policy must correspond with your long-term goals. After the receipt of policy documents, go through the features of the product and check if they match with promises made during the purchase. Cross-check features such as sum assured, premium amount, flexibility of the plan, etc. Your insurance plan may also come with more evolved features such as dynamic fund allocation or increasing premium to beat inflation which need to be understood in detail as well. In addition to life coverage, you may have purchased a few add-on covers known as riders for other types of contingencies. Go through the insurance contract to ensure that rider you bought are included in it. You would not want to be disappointed while filing a claim for a critical illness that the rider you thought you purchased for the same was not included in the policy. Knowing the exact payment tenure will help in ensuring that you achieve the goals for the reason you bought the policy. Please check for how long you need to pay premiums and also what mode of payment you may have chosen, for example half yearly, quarterly etc. The basis of most mis-selling is the premium payment tenure. Please do not fall for the “you need to pay for only 3/5 years” line. Life insurance is a long-term savings and protection tool and its benefits can be seen only if one buys it for the long term. Do not blindly believe the returns promised. Once you get the policy documents, check out the benefit illustrations of returns. Study carefully what is guaranteed and what is not. Incidentally, in the last decade, the gross investment yield of the 'controlled funds' of traditional endowment plans is 8%. During the past 5-7 years, balanced and equity-oriented ULIP funds have yielded 8-12% while less volatile conservative and debt-oriented ULIP funds have yielded 6-10% gross returns. The illustration shows what would be your illustrative benefits in a hypothetical situation if your investment were to provide a gross return of 4% and 8%, as per the IRDA's mandate. In addition to the benefits specified in policy documents, it is necessary to carefully read the terms and conditions of the service contract. In case you find any difficulty in understanding any aspect, you may want to check with the insurer the impact of those terms. Many a time a situation may arise where you face a cash crunch and need to surrender your policy or make partial withdrawals. For times likes these you may need to make sure to examine the exact surrender charges mentioned in the documents, so that you can plan finances and minimise losses accordingly. Exclusions in the policy define aspects or situations that will not be included in the coverage. An exclusion that one is not aware of can make the cover redundant. Read the exclusions carefully, and they may include suicide, death which occurs during the commission of a crime, acts of war or terrorism, and others as well. Some exclusions may be only for a specified period, and may be called restrictions instead. It is common for many life insurance policies to refuse to cover certain types of deaths within a specific period of the policy being issued. Check if the nominee's details are captured properly. You have the option of including two or more nominees and specify their share of claim. Your life insurance policies should include everything that is supposed to be in your coverage, and it will spell out exactly what your responsibilities are, what the life insurance company is responsible for, what you are covered for and how much, and every other aspect of your life insurance coverage. It should also list down all details on how to file a claim or what to do in certain other circumstances. In case if you think that a product has been mis-sold to you, the life insurers give a free look period of 15 days to the consumer during which a consumer can review the policy from his needs perspective. If the consumer is not satisfied and feels that the product features are not in sync with the understanding given by the agent at the time of selling the policy, then he is free to return the policy and claim a refund of the money paid. IRDA has also created various ombudsmen across the country, which act as grievances cells and can take up consumer complaints. The RBI in its first policy review after new government took charge kept key rates unchanged; clearly indicating inflation needs to be addressed first. Unless inflation comes under control and fiscal deficit reduces, RBI is unlikely to reduce the key rates and unless there is rate cut, interest rates are unlikely to soften. It is a known fact that high rates of interest are hurdle to economic growth as borrowing becomes costlier. Corporate world is also eagerly waiting for rate cut so that they can expedite the new projects and increase the supply side. Most of the experts are bullish on equity market but before taking investment decision we also have to see risk-reward ratio. The Nifty has already rallied around 50% from the bottom of 5,100 to 7,500 in nine months in a scenario when our GDP growth is below 5%. It’s true that market discounts the future and the rally is for the faster change and hope for the future. The debt market on the other hand is range-bound after last repo rate hike in January this year. The current repo rate is at 8%. The all-time repo rate high was 9% in July 2008 and all-time low was 4.75% in April 2009. Looking at the current scenario, I think risk-reward ratio is in favour of long-term debt and gilt funds. Most of the economists and experts believe the growth is likely to peak in coming years and there is earthly reason to believe that interest rate will come down. This will not happen immediately but may take few quarters. The common investors do not know how the debt funds work and how the change in interest rate affects the performance of the debt funds. People need to be educated about the options available in the market besides traditional instruments. If your time horizon is 2 to 3 years and can bear short-term shocks of inflation, debt funds are good bet as of now. If I have to choose between equity and debt, surely I will bet on debt funds knowing that downside risk is low. Debt funds of mutual fund always give better returns when interest rates fall and also has added tax advantage because of indexation benefit which reduces your tax liability if you hold debt funds for more than 12 months. Suppose company “A” issues a bond today for 10 years and the price of one bond is Rs 1,000 with a rate of interest i.e. coupon rate of 10% p.a. The bond is also listed on the exchange. One investor says Mr X buys 10 bonds by investing Rs 10,000 in the company. He is likely to get interest of Rs 1,000 every year as promised by the company. If the rate of interest drops by 2% to 8% p.a. in next two years then the price of the bond will increase from Rs 1,000 to 1,115. Mr X is now making a profit on the bond price and he can sell the bond in the market and book the profit plus he has also earned interest of Rs 1,000 for two years. The return on his investment is around 15% p.a., subject to long-term capital gains but still much higher than traditional instruments such as fixed deposits and postal schemes. The major reason why debt funds are not popular is that they are market-related and returns are not guaranteed like fixed deposits and postal schemes. Further, any extra pressure on inflation due to internal or external factors can change the interest rate scenario and give negative returns. With the stable government at Centre and inflation under control, rate hike is unlikely, thus it indicates very limited downside risk. If you do not want to take credit risk then gilt funds are ideal as it invests in Government of India bonds which enjoy the highest safety in Indian markets. By investing in gilt funds, you only run interest rate risk. It is advisable to invest in growth option compared to dividend option as there is high dividend distribution tax on debt funds which reduces your overall return. The Government of India had announced vide press release dated 25.03.2013 that the rate of interest on various small saving schemes for financial year 2013-14 effective from 1.4.2013 on the basis of interest compounding/ payment built-in in the schemes shall be 8.5% in respect of National Savings Certificates. Accordingly on National Savings Certificates of Rs 1,000, you would be entitled to an interest of Rs 85 for the financial year 2013-14. There seems to be no provisions in the Employees Provident Fund and the Miscellaneous Provisions Act, 1952, which provide that an employee above the age of 60 years is not liable to deduction under the said Act. 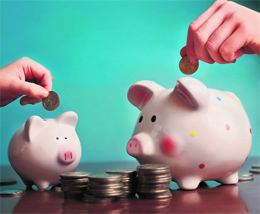 The Provident Fund authorities have allowed an entity to cap the monthly Provident Fund contribution to its employees at Rs 6,500. This is in accordance with the recent instruction dated May 27, 2014, issued by the Additional Central Provident Fund Commissioner. Accordingly, in case an employer deducts and deposits employees’ provident fund contribution in respect of an employee drawing more than the prescribed salary, it can be reduced to Rs 6,500 pm and in such a case Section 12 of the above Act would not be attracted unless the terms of the employment specifically so provide. I will be obliged if you calculate the tax liability from the details given below in the financial year 2013-14. I suffered from cancer and incurred an expenditure of ~1,72,000 on my treatment at Max Hospital, Mohali. No reimbursement was made by the government. Kindly advise if any deduction of the amount paid for treatment will be exempted from income tax. You can claim a deduction to the extent of Rs 60,000 in respect of expenditure incurred on treatment of cancer provided a certificate from oncologist working in a government hospital, having a Doctorate of Medicine degree in oncology or an equivalent degree, which is recognised by the Medical Council of India, is obtained and kept ready for verification by the department. In case you are not able to get such a certificate and therefore are not able to claim the deduction, tax of Rs 820 would be payable on your total income after allowing the rebate of Rs 2,000 permissible under the Act as your income is below Rs 5 lakh.